This is a brutally frank assessment of the socianatural origins of the Camp Fire, and how policy and human decisions factored into creating the highly vulnerable conditions. File this story in the “there is no such things as a natural disaster” bin. Posted in Chico, Cities, Climate Change, Crisis, Ecology, Environmental Justice, Politics, Socio-nature and tagged with Cities, Crisis, Socio-nature, Governance, Politics. January 23, 2019 by Nik Janos. A cool new way to get hydro power right under our cities, and they don't require dams. The Lucid system taps the power of gravity in the city’s water system. Water flowing through the Portland Water Bureau pipe at 147th and Powell will now flow through four small turbines as well, generating enough electricity to power 150 homes along the way. The turbines are 3.5 feet wide – just big enough to span the diameter of the city’s water pipe. Posted in Cities, energy, Economy, Politics, Technology, Urban and tagged with Energy, Technology, Politics, Economy, Ecology. March 2, 2015 by Nik Janos. We can dream. We can dream. 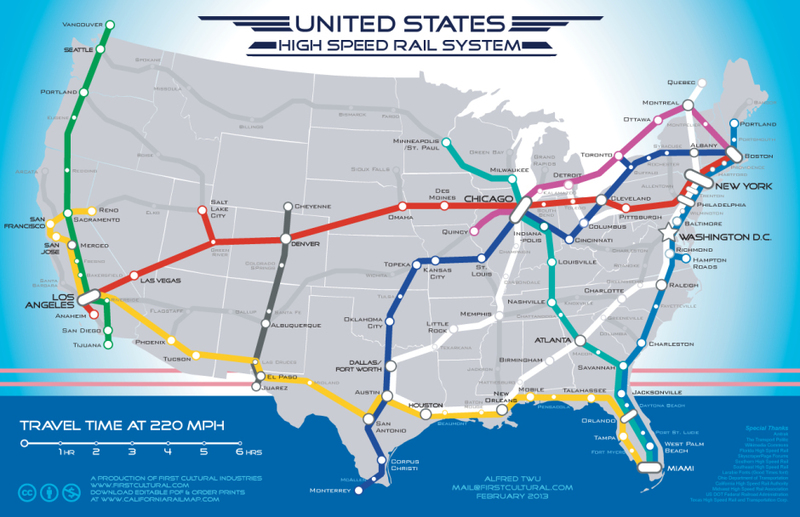 Update: Sarah Laskow on Grist gives us the depressing actual state of train travel in the US. It's not pretty. Posted in Cities, Economy, Future, Politics, Technology and tagged with Technology, Politics, Future. February 6, 2013 by Nik Janos. Amazing images of an urban civilization. Posted in Cities and tagged with Cities. December 6, 2012 by Nik Janos. 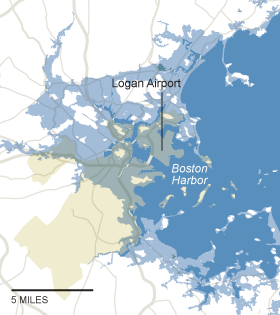 Interesting NY Times maps showing large US coastal cities and the portions of them that could be submerged underwater if different climate change scenarios play out (5-ft, 12-ft, and 25-ft sea rise scenarios). Near where I live, it surprised me to see Sacramento, which is at least 90 miles from the ocean, so vulnerable because of the Sacramento-San Joaquin River delta. Posted in Cities, Climate Change and tagged with Cities, Climate Change. November 27, 2012 by Nik Janos. This is an article that I wrote about Hurricane Sandy and the dangers of a technological solution to hurricanes, based on the experiences of New Orleans. Posted in Environment, Cities, Politics, science, Technology and tagged with Ecology, Cities, Technology. November 5, 2012 by Nik Janos. Cool video that depicts the interconnected cities around the world, connected by roads, highways, railways, and shipping lanes. We are approaching a planetary civilization, however, look for the dark areas and the parts of the earth that are NOT connected. 'Welcome to the Anthropocene' Earth Animation from Globaïa on Vimeo. Posted in Cities, Film and tagged with Cities, Film. April 24, 2012 by Nik Janos. Interesting read about the state of the Lower 9th Ward in New Orleans seven years after Katrina. Good quotes from geographer Richard Campanella. Reminds me of "Men go and come, but earth abides" quoted at the beginning of George R. Stewart's classic eco-fiction novel Earth Abides. However, the everybody for themselves, laissez faire, rebuilding has led to a new uneven development in NOLA. Enviros might like that parts of the city are "returning to nature," what ever that means, but let's remember these were neighborhoods, these were space where people lived their lives, and owned homes. Unplanned shrinkage benefits the wealthy, white residents of the city. Posted in Cities, Environment and tagged with Cities, Ecology. March 27, 2012 by Nik Janos. Emma Marris reviews Andrew Ross' new book on the socio-ecological quagmire that is Phoenix, AZ. Posted in Books, Cities, Economy, Environment and tagged with Cities, Ecology. March 15, 2012 by Nik Janos. The thumbnail version is this: Under President Obama, key federal agencies have begun to shift away from subsidizing suburban sprawl and toward reviving cities and creating dense, walkable, transit-friendly communities. Obama has put smart-growthers and new urbanists in key positions, begun to realign government agencies to prioritize sustainability, and launched partnerships and initiatives that one Bush administration veteran calls “mind blowing” — in a good way. Even Obama’s allies agree, however, that serious reform may have to wait for a second term. If there is one. There is more than meets the eye to Smart Growth. Ending subsidies for suburban sprawl is good but we need to think comprehensively: both the so-called central city and the so-call suburbs need to be revived. We can't allow the central city to become the green playground for the affluent and young professionals, while the suburbs slip into social and environmental neglect. If this happens, it will end up just the reverse of what happened after World War II when affluent whites moved out of the central city, into the suburbs, and left a wake of crisis behind in city after city. The sustainable modern metropolis will have a re-imagined and revitalized center and suburb. Posted in Cities, Economy, Politics and tagged with Cities, Politics. January 18, 2012 by Nik Janos. "Urban green spaces are going to be more critical than (they have) ever been." December 23, 2011 by Nik Janos. At this point though, the suburbs are part of urban condition. We need a better way to think about the suburb/central city dichotomy. These folks are doing amazing work building a diverse coalition AND presenting a development vision that came out of a participatory and collaborative design process within the community. Posted in Cities, Environment, Politics and tagged with Cities, Politics. November 16, 2011 by Nik Janos. Urban civilization. Cities, cities, cities. November 15, 2011 by Nik Janos. A film by Gary Hustwit the maker of Objectified and Helvetica. I haven't seen it yet but looks interesting and ripe for critique. Check out the site here. Posted in Cities, Film and tagged with Cities. October 22, 2011 by Nik Janos.